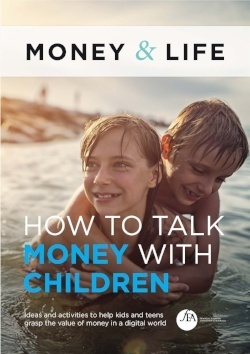 The aim of this eBook is to help you share good financial habits with children, your own, or those you help raise. The truth is children first learn about money and how to manage it - earn, spend, save, invest, give it away - from watching and listening to adults. When we share positive behaviours and are frank about money, we create realistic expectations for children and we empower them to become financially capable adults. So, why not weave smart money lessons into your everyday moments? Download the eBook now for ideas and activities to help kids grasp the value of money in a digital world.